Concrete repairs and slab replacement efforts along State Road (S.R.) 44/New York Avenue are nearing the point where the contractor will be able to grind and smooth the roadway. For several months, the contractor for the Florida Department of Transportation has been removing and replacing slabs of concrete along S.R. 44 between Boundary and Hill avenues in DeLand. During the work, the new concrete sections are intentionally left a little bit higher than the existing roadway to make sure they will be level with the roadway upon completion. If a new slab ends up lower than the existing roadway, it would have to be replaced again. The contractor is almost finished with the replacement work along S.R. 44. The project also involves work at the intersection of Plymouth Avenue and Woodland Boulevard. That work is expected to start within a few weeks. Once complete, the contractor will begin the grinding process. The project is expected to be finished within about 60 days, weather permitting. For more information and updates, please go to FDOT’s Central Florida website, CFLRoads.com. 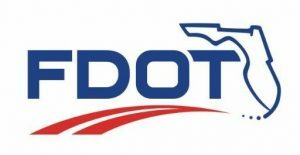 Media inquiries should be directed to FDOT’s Communications Office at 386-943-5479 or d5-PIO@dot.state.fl.us. The FDOT urges all drivers to stay alert and slow down through construction zones.